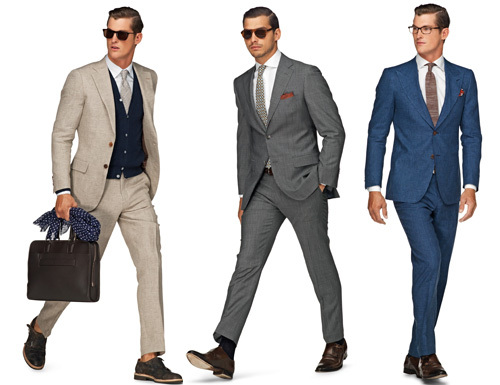 A well-fitting suit is indispensable basic in your closet every man. The chic ensemble of jacket, shirt and pants finally suitable for all occasions and always exudes timeless elegance and sense of style! 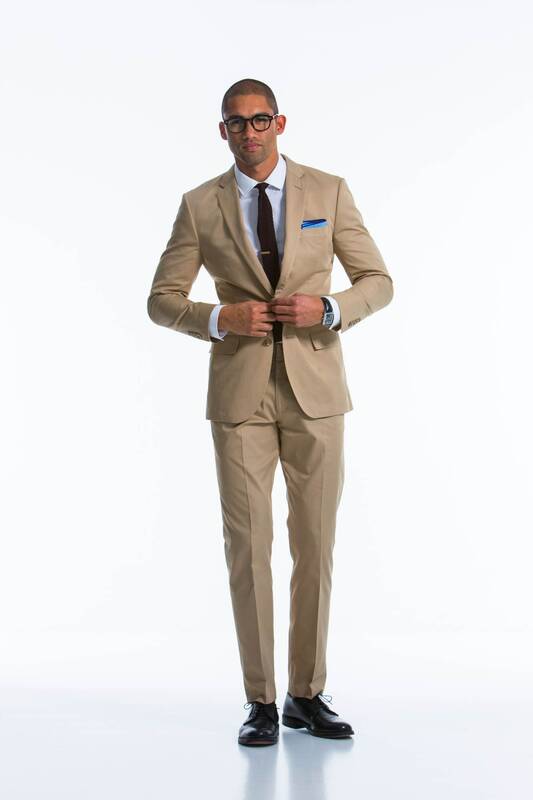 Experiencing now, as your suit fits perfectly and makes to the rapidly approaching holidays guaranteed a good figure! I wish you at this point in advance a wonderful, peaceful Christmas and of course a raucous New Year’s Eve Celebration! 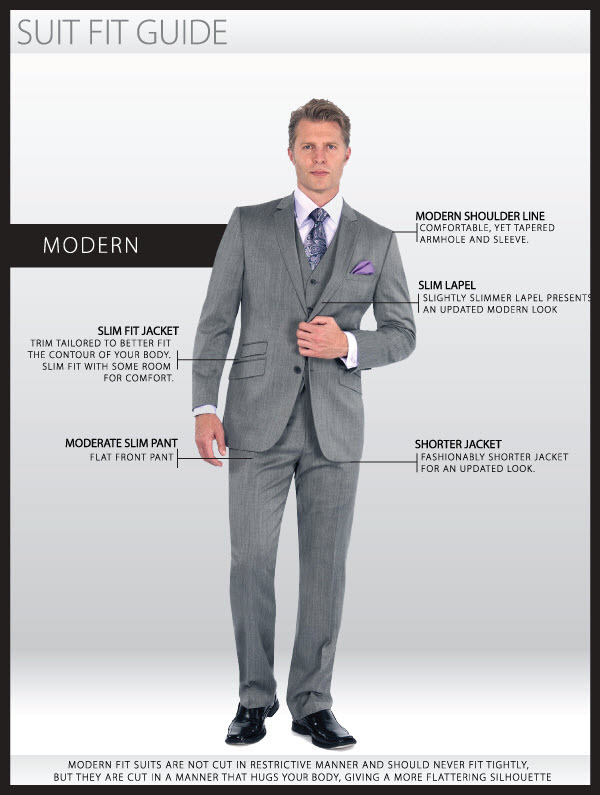 If you want to make sure your suit fits perfectly, you should the jacket give special attention. The reason: A perfectly fitting jacket is the heart of every ensemble! Shipyard for checking the fit first look at the shoulder of your selected piece. The shoulder seam should always rest directly on the shoulders and it should definitely not wrinkle at the seams. Then your gaze should lapel. Includes the jacket and checked whether the lapel protrudes from the collar. This should never be the case. 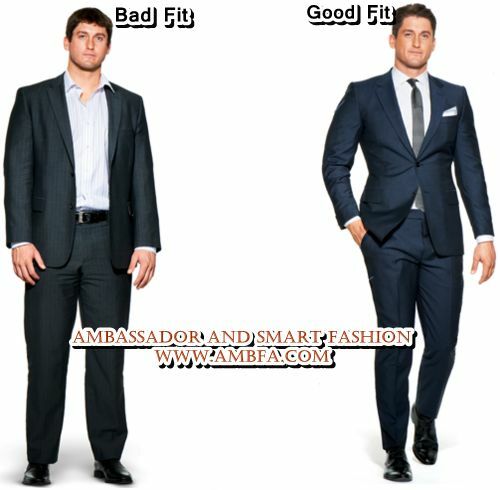 The lapels should not sit flat on the chest or even tension, also but always lie slightly loose. If the jacket at the closed button raises Zugfalten, it is definitely too small and should a number be larger. The correct length is a crucial factor. The rule is: The sleeves of your jacket should end exactly on your wrists ideally. The perfect overall length of the jacket can you hand a simple trick to determine: to put Try your hands in his pockets when the jacket this is the way it definitely falls from too great!An ideal fitting model should not rest heavily on the hip, so that the pockets remain free. 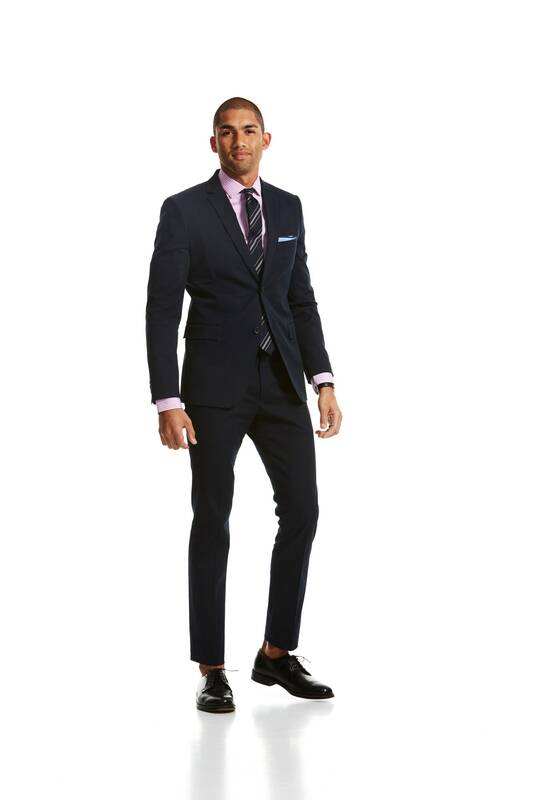 The ideal suit pants should neither stretch nor slip. Furthermore, the following applies: A belt should always be used as a decoration and never hold your pants. 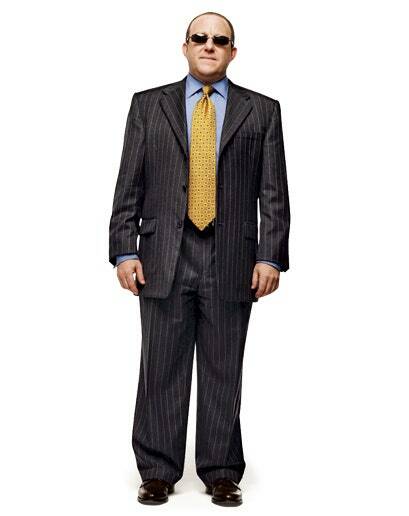 A good indication for a perfect fit, the pleats. This should never gape, but always be closed and loosely covered. Peer reviewed your pants always without jacket, to recognize its seat really good to.Pay attention to the fact that their shoes carries out when trying to check the length correctly. 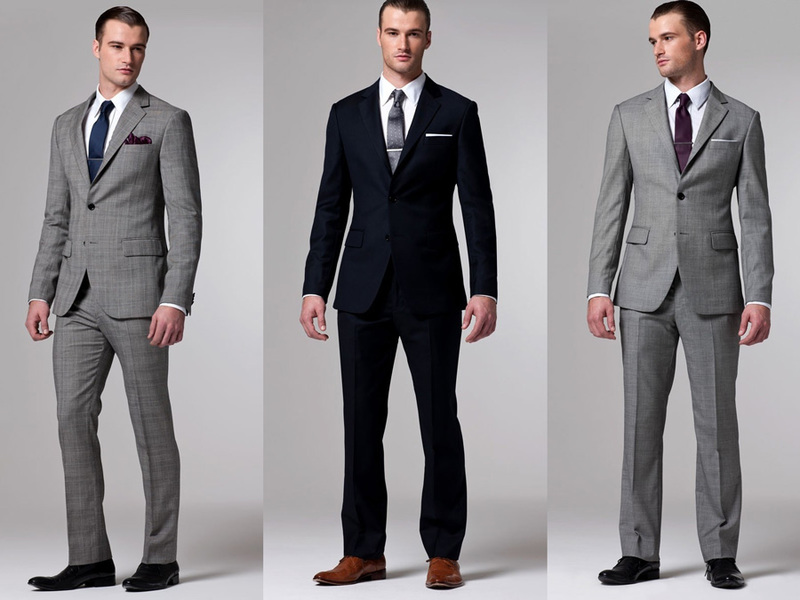 A suit pants should always end than 1-2 cm above the heel. Ideally, the hem of the pants should only take a so-called “nose” in your shoes. The nose denotes a single, narrow fold which raises the leg on the shoe forward. A further possibility for determining the correct length of the seat provides test. Sit this comfortably on a chair and checked where your legs to land. A well-fitting pants slipping maximum to the calf but never higher. Last, you should of course always the seat to check on the buttocks. A uniquely large pants recognizes her mind that your backside is no longer be determined under the fabric . In the case you should necessarily choose the pants a size smaller! 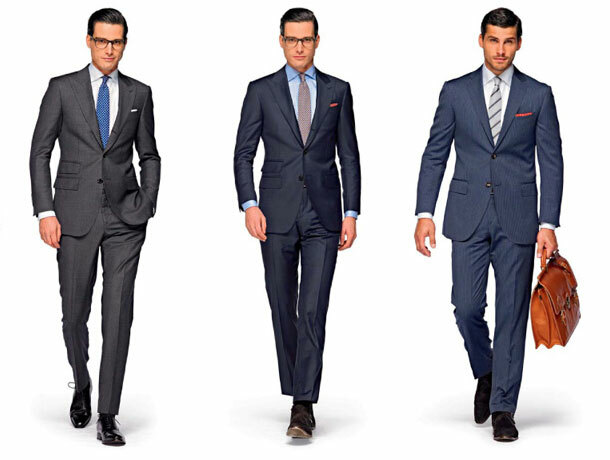 A well-fitting shirt is the basis of each suit. Respect the seat first and foremost that you can sleep comfortably insert your finger between the collar and neck when the shirt is closed. If this is not the case, you definitely should select a larger model. The cuffs of your shirt should possibly lie exactly on your thumb roots. Then drawn your chosen jacket over his shirt and checked whether the sleevesprotrude more than 1-2 cm from the jacket. To determine the correct overall length, also provides the practical seat test in. A shirt should never slip out of the waistband, you sit down. In this case, a number is greater recommended! Last but not least you should during the fitting also always have the right tie to try the shirt.The reason: The collar of a well-fitting, high-quality shirt rolled never upwards when you bind a tight knot. If your shirt by falls in this last test, so it is clearly too small.